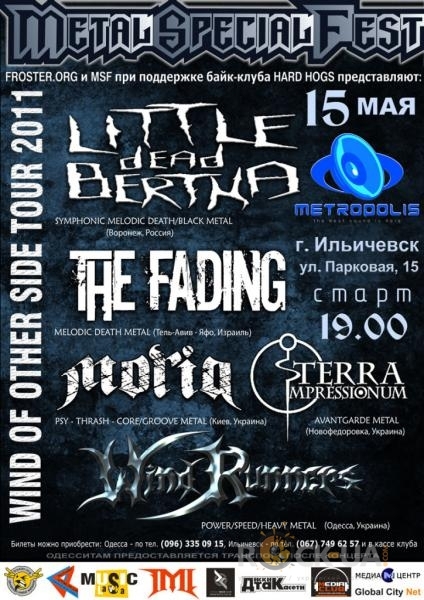 Рецензия на ЕР "Clouded Mind" группы "Moria" от голландского вебзина Brutalism! Looking for a fresh thrash metal band you have never heard before? 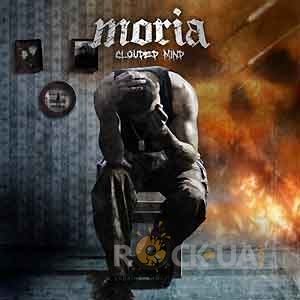 Check out Moria! 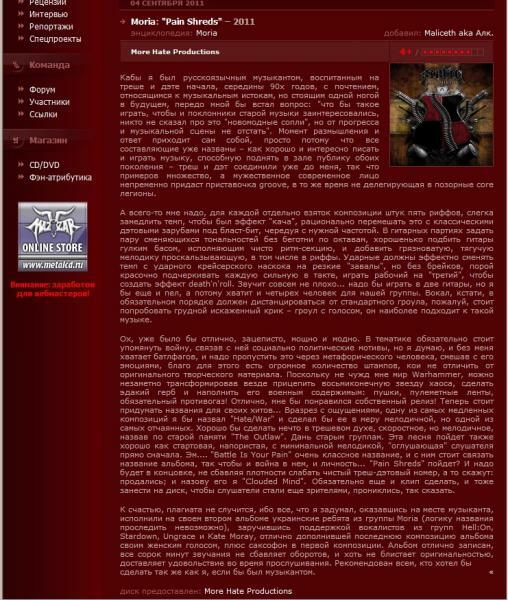 This Ukranian band has a very long history and very few studio recordings, but today they are regarded as one of the leading bands in the Ukranian metal scene. To make a long story short, they formed back in 1995 and after several line-up changes disbanded in 2000 to get back together in 2006 and focus again on music. 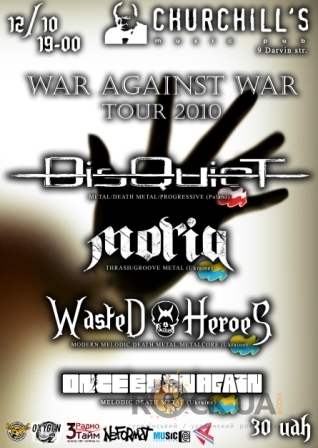 Clouded Mind is their second studio recording and a teaser to their full length album they've launched the very same year. So what this EP has to offer? 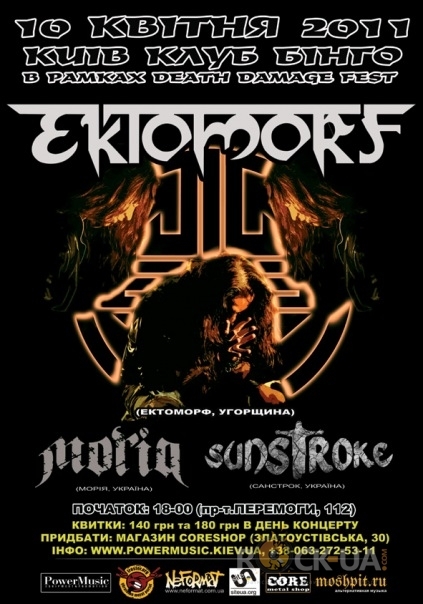 MORiA, Clouded Mind, live in Lugansk (10.10.10)! Небольшой фанарт на трэк "Truth And Lie".